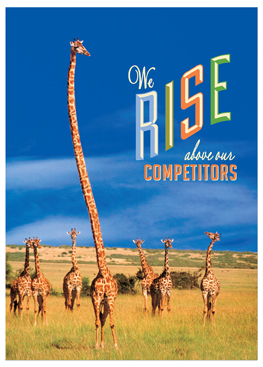 Business greeting card that shows both visually and verbally why you stand out from the rest. Sales marketing idea to follow up with corporate clients that leaves a memorable and lasting impression. 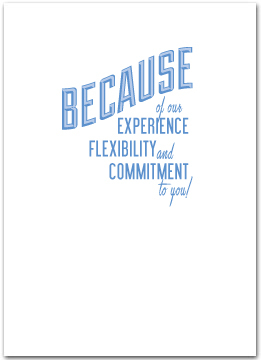 Because of our Experience, Flexibility, and Commitment to you!